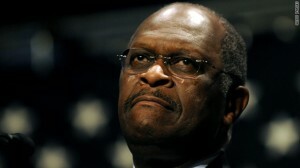 But there actually was a simple way for Herman Cain to avoid the whole mess: He could have chosen to be gay. If it is a choice, then why didn’t he flip on his gay switch when he felt sexually tempted? This would have saved him from a lot of trouble. When he safely returned home to his wife, he could have switched back to heterosexuality. It seems that Cain lacks the discipline choose his homosexuality when he needs it most. This is why he is unfit to be president.